Reports suggesting the Los Zetas Cartel took over a couple of ranches in South Texas do not appear to be true. 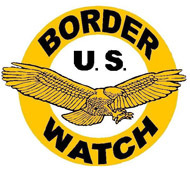 Bob Price with US Border Watch looked into it and talked with me on the show last night. Listen here and feel free to share your thoughts in the comments section. Click here to listen in on the show.